"Devil Wears Prada" superfan John Krasinski has a new favorite Emily Blunt movie. The 39-year-old actor is known to cry when he sees his 35-year-old wife in her element (as he did when he heard her sing in 2014's "Into the Woods"). But Krasinski took things to a new level when he recently saw her perform in Walt Disney's "Mary Poppins Returns" (in theaters Dec. 19). "We just screened it for my family over the holidays," Krasinski shared on "The Ellen DeGeneres Show" Wednesday. "I tried to prepare [my daughters] for how emotional it is. The first time I ever saw it, they gave you a tissue box in the screening room. I was like, 'Oh that's very nice. I don't have a cold.' And they started screening the movie and 25 minutes into it, I stood up and went to the back of the room. And Emily said, 'Do you not like it? I've never seen this happen.'" 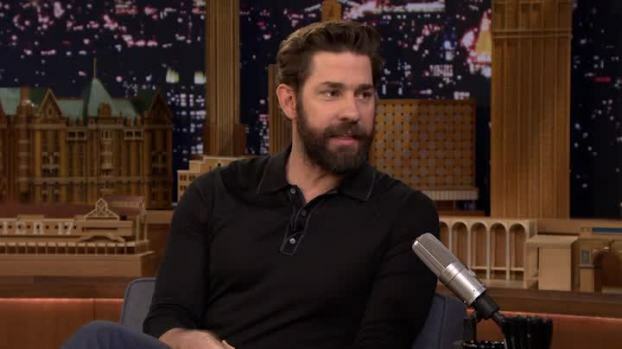 John Krasinski talks to Jimmy Fallon about the time he got beaned in the head by a fully loaded bagel in New York City, his daughter's Jedi mind tricks and how a customs agent reacted to learning his wife is Emily Blunt. Overcome with emotion, the former "The Office" star went into a panic. "I was pushing through all the bagels and muffins that were in the back looking for napkins. I was like, 'I need anything to stop this crying!' I was crying so much. I blew through the tissue box in 20 minutes. I had to go to the napkins, and then when I ran out of the napkins, it was all sweater," the actor continued. "Just a lot of [wiping my eyes and saying], 'Oh, it's so beautiful!'" It's easy to understand why seeing his wife taking on a role made famous by Julie Andrews 54 years ago made Krasinski emotional. John Krasinski talks about what drew him to working on "A Quiet Place," casting the movie's child actors and some of the best celebrity reactions to the film. "It's honestly one of the most beautiful films," the actor told host Ellen DeGeneres. "I think it's exactly what everybody needs for the holidays. It's pure joy!" 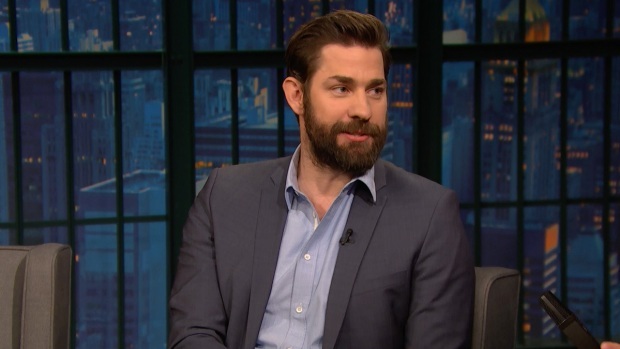 Krasinski also told DeGeneres he’s in the process of writing the sequel to his critically acclaimed horror film "A Quiet Place," and the host shared her audition tape in hopes of landing a small role in the next film.